The Great Rift valley is a unique geographical formation, a crack in the earth’s crust that runs approximately 6000 km from Mozambique to northern Syria. 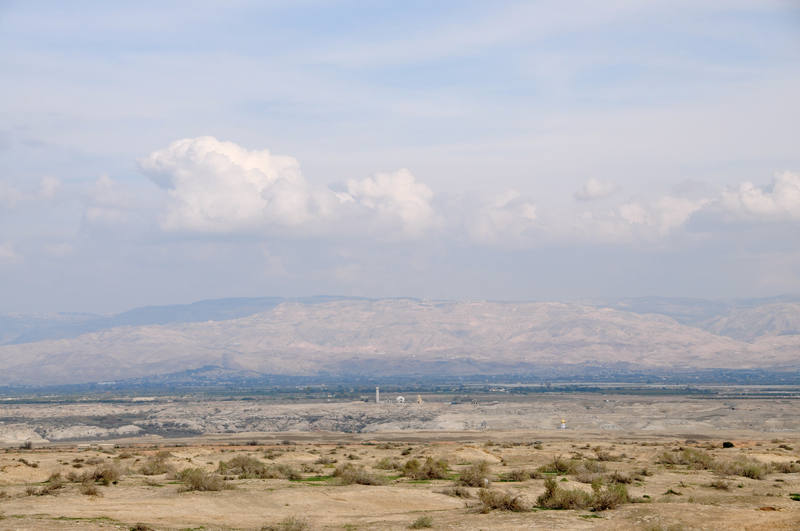 The section from the Dead Sea to the Sea of Galilee is called the Jordan Rift valley and separates Israel from Jordan. This photo was shot in the late afternoon, looking east towards the mountains of Jordan, biblically the mountains of Moab and Edom. The technical details – the photo was taken with a Nikon D90 DSLR and 18-200mm lens in February (ISO 200, 70mm, F10 at 1/320 sec). This entry was posted in Nature, Photography and tagged Israel, Israel photo, Jordan, nature, photo of week, Photography on February 24, 2013 by Shmuel Browns. Brings back some memories of a similar view last September.